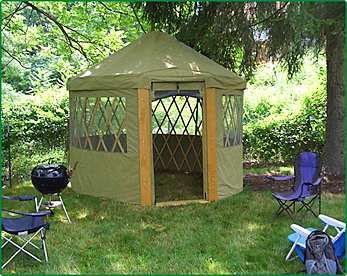 Founded in 2010, Asheville Yurt Company is located in Asheville North Carolina. Specializing in stick built kit homes built to code, they also offer yurts for entertainment and now camping yurts. They also have a special "ring" to make one man set up of their yurts possible. Asheville Yurt company also offers yurt rentals for local use. Stick-built yurts/round houses in Vermont?